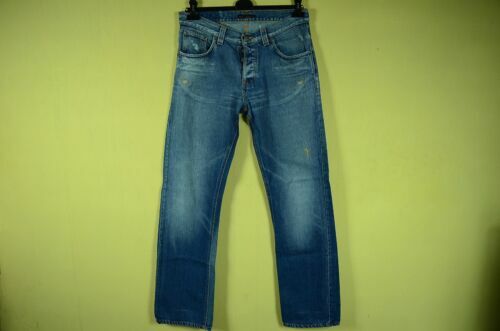 NUDIE "SLIM JIM" ITALY MEN'S LUXURY JEANS DRY BROKEN TWILL 31/34 NEW W/O TAGS!! Nudies Jeans Fast Freddy 2009. Loose Fit, Buckle Back. 100% Organic Cotton! NUDIE jeans BIG BENGT Recycle Dark Worn Straight Leg Relaxed Blue 34”X34” $200+!